I'd like to leave it at that but I am betrayed by my other possibly-compulsive interests. 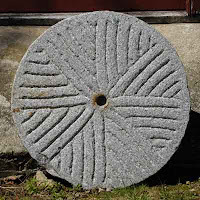 This millstone image shows up in Matthew and Luke as well, but although Luke is down with millstone being tied, Matthew is a little less specific and talks about it being hung. 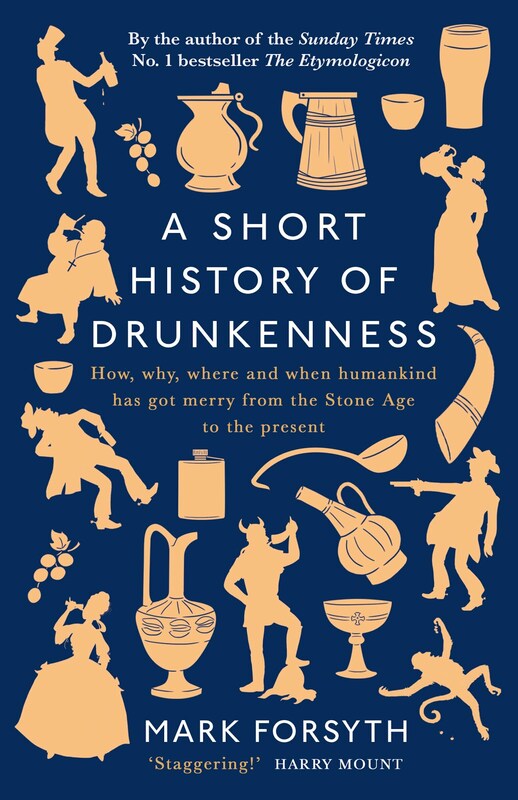 Millstones are used to kill people several times in the Old Testament, although no actual drownings as far as I know - more your basic dropping of the millstone onto someone's head. 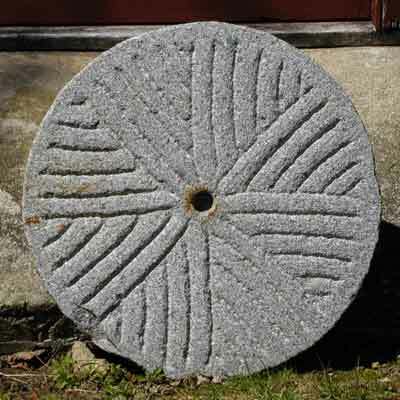 A Google image search of donkey millstone yields a number of photos of, unsurprisingly, donkeys and millstones, and gives an idea of the potential size of such things... some do look a little as though you could fit your head through them. The size of the jewellery some people are wearing these days, they may as well do the millstone thing. I've just marked an assignment where a mysterious jewel thief absails past some stained glass windows depicting Jesus and is struck by thoughts of romance. 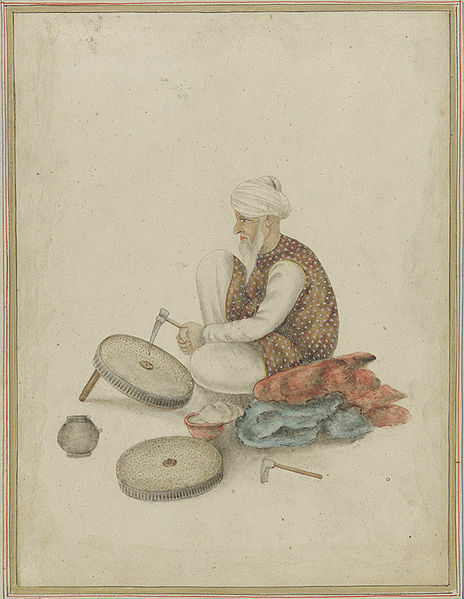 Was He known for his romantic qualities as well as millstones? Upon first reading, I thought He rolled over a child, and immediately assumed it was with a millstone. Thanks for the grisly, gritty details. Perhaps next time we'll get the gristy details. @Moptop: Whoever you are and whatever you do, Jesus is watching you lovingly: when I do that I'm arrested as a stalker, which just goes to show that people with powerful dads can get away with more than us ordinary folk. @The Antipodean: I am of an odd sort of Samaritan-like sect that reads John for beauty and Mark for priority. The intermediate evangelists I regard with suspicion.